Program #SEAB002. Recorded in Boulder, CO on February 28, 2018. Black Panther is a blockbuster superhero film based on the Marvel Comics character. But back in the 1960s the Black Panther Party represented an African-American political and social welfare organization. Why the name? As Huey Newton, one of its leaders said, because the black panther doesn’t strike first, “but if the aggressor strikes first, then he’ll attack.” It was formed to challenge police brutality against African Americans. Dressed in black berets and black leather jackets, the Black Panthers organized armed citizen patrols in Oakland and elsewhere. At its peak in 1968, the Party had roughly several thousand members and branches all over the U.S. The organization later declined as a result of internal tensions and police and FBI counterintelligence activities including infiltration and assassinations. By the late 70s it was basically defunct. However, its memory continues to inspire today. I heard part of this on Kansas City’s KKFI this morning and several different times was moved to tears- yes, just from listening to Bobby Seale. But I also found myself laughing at some things- his definition of “blippy”, for example. Bobby’s stories and observations about his life with the Black Panthers are fascinating and moving. 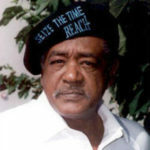 The courage of Bobby Seale and the other Black Panthers! What he, what they went through. 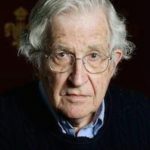 In my opinion he is a truly great American. His efforts and words had a real effect and helped to change American history. Bobby Seale’s spirit and works benefit all of us, whether we realize it or not- whether we are black, white, or anything in between. Thank you Mister Seale. Also, thanks to Alternative Radio and to KKFI for broadcasting this historic interview with him.